In the 1990s, qualifying against the odds for eurozone membership was a matter of pride for most Italians. 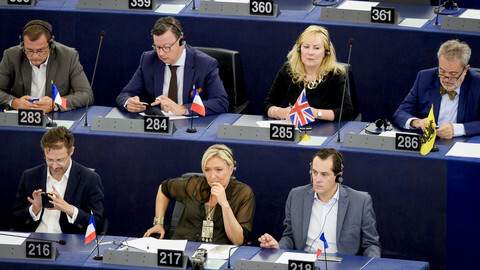 Now leaving the euro – once a political taboo – is routinely discussed by the media, as the campaign for next month's European Parliament elections gets into full swing. Polls suggest that eurosceptics may win as much as 50 percent of the votes, if support levels for Grillo's Five Star Movement (M5S) and Berlusconi's Forza Italia are totted up with those for smaller right-wing parties such as the Northern League and Brothers of Italy. "There is more talk about Europe, but it is being talked about in bad terms," Franco Frattini, a former EU commissioner and ex-Italian foreign minister, lamented at a public event in Rome on 16 April. The Northern League has adopted the most extreme anti-EU rhetoric in the campaign. It presents itself as the Italian counterpart of France's National Front, and campaigns under the "Basta Euro" [enough with the euro] slogan. For its leader Matteo Salvini, an outgoing MEP, the spate of misery-related suicides that have made headlines in recent years would not have happened if Italy had not joined the single currency. The M5S does not go that far. 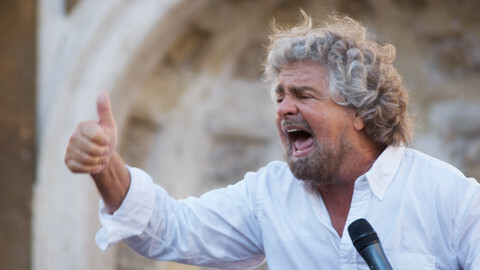 But Beppe Grillo, a former comedian, still wants a referendum on euro membership – despite a constitutional impediment to such a poll. He also demands the scrapping of all Eurozone austerity rules, starting from the Fiscal Compact; the introduction of Eurobonds; and debt relief for southern Europe of the scale granted to Germany after World War II. Such arguments latch on to ideas put forward by economists such as Alberto Bagnai, who penned the 2012 bestseller Il Tramonto dell'Euro [The Decline of the Euro]. He thinks that within the eurozone, Italy will only be able to regain competitiveness by driving down wages, forcing more people into poverty, and that the country would be far better off if it could devalue its currency. 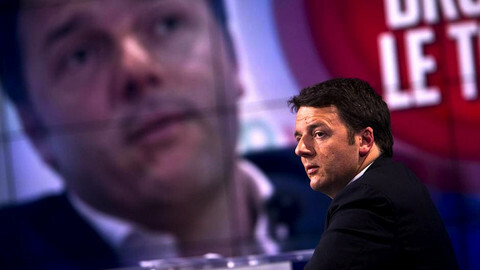 Prime Minister Matteo Renzi of the centre-left Democratic Party (PD) firmly rules out any euro exit. But by remarking recently that unemployment in non-euro member Britain was now much lower than in Italy, whereas it was about the same at the start of the crisis in 2008, even he has unwittingly given grist to the mill of the anti-euro camp. Renzi is the most pro-EU figure in the campaign, but he has not shied away from Brussels-bashing. 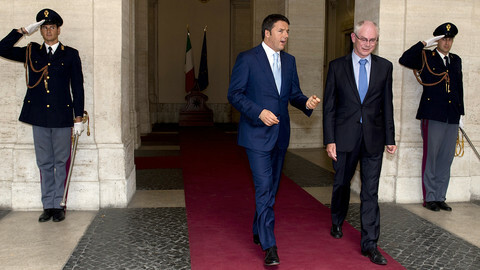 He says the EU should stop bullying Italy with austerity diktats, and concentrate on creating jobs and growth. 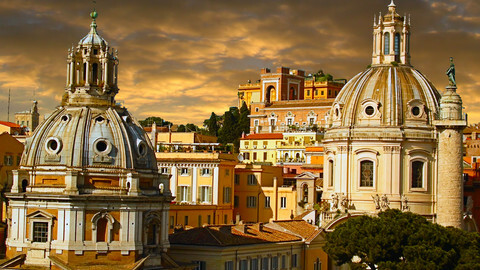 At the same time, he has promised to deliver the economic and political reforms that have long been recommended for Rome, as well as a vote-grabbing tax cut for low-paid workers. His lets-get-down-to-business approach is very popular, pushing the PD firmly on top of opinion polls, with more than 30 percent. Surveys have also shown a steady rise in anti-EU feelings in Italy. 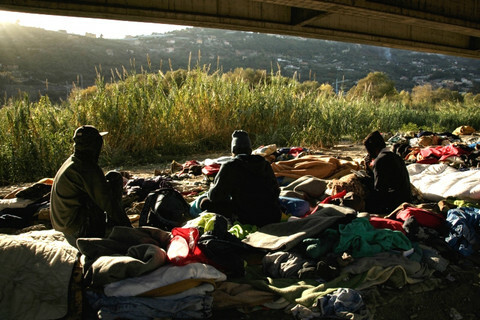 The latest Eurobarometer, conducted in November and published in February, indicated for the first time that a majority of Italians (53 percent) did not feel like EU citizens. This month, an IPR survey for RAI state television showed that 10 percent of Italians were "euro-enthusiasts", against 70 percent of "eurocritics" who wanted a major shift in EU policy, and 15 percent of hardline "eurosceptics". Last week, former premier Silvio Berlusconi declined to openly espouse the anti-euro cause, as he admitted that his voters were "split exactly down the middle" on the issue. But he courted eurosceptic opinion with pledges to fight German-inspired austerity policies. "Yes to the euro, but only under certain well-defined conditions," Berlusconi said, aping Grillo's demands for a renegotiation of "all" euro governance rules, even though some of them were passed while he was in office. "From the alien currency that it is presently, the euro must become a real national currency for all", added the former premier, whose campaign slogan is "More Italy in Europe, less Europe in Italy". 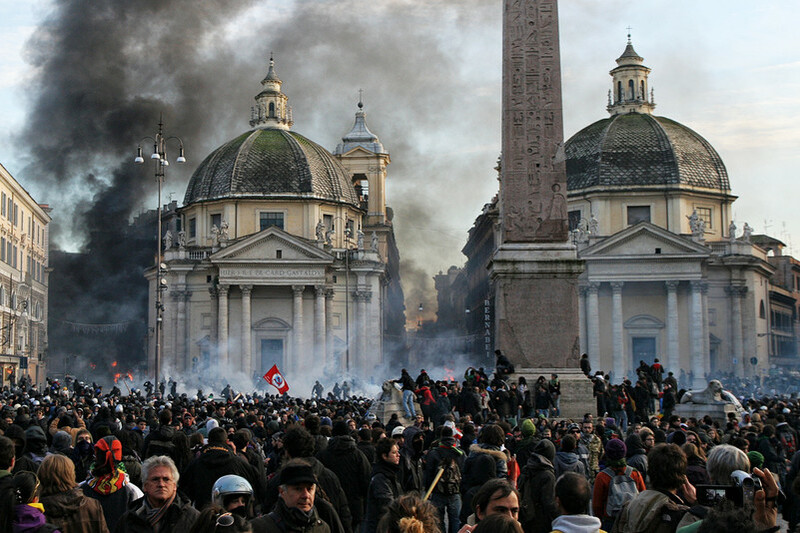 Roberto Weber, a polling expert from the IXE institute, says rising discontent with the EU is a clear byproduct of the economic crisis, which in Italy has been particularly severe, pushing youth unemployment over the 40-percent mark. But he also thinks that when push comes to shove, a majority of Italians would be sceptical of radical departures from traditional EU-oriented policy-making. "I don't see this overwhelming desire to abandon the euro, not in a million years," he tells EUobserver. "It is a minority opinion, representing at best a third of the country." He points to the results of the unofficial independence "referendum" that was held in Veneto last month. The wealthy north-eastern region is one of the areas where the anti-euro Northern League would be expected to pick up most of its votes. Almost 90 percent of the people who took part in the Veneto poll said they would like it to break off from the Italian state. But with a 51.4-percent majority, they also said they wanted the newly independent state deriving from secession to stick with the euro. "Not even in the Northern League's heartland are people convinced about a euro exit," Weber noted. In the Eurobarometer survey, 53 percent of those polled were in favour of the euro, 36 percent against and 11 percent undecided. Nevertheless, pro-EU establishment figures are worried about opinion trends. President Giorgio Napolitano, an 88-year-old statesman who is seen as the key powerbroker in the country's volatile politics, gave a rare TV interview on 13 April in which he recalled the historical merits of the European project. "Sometimes there is the impression that for many Europe consists only of the austerity policies of the last five years. But Europe was born 60 years ago and its main purpose has been to guarantee peace in the heart of Europe," Napolitano said. 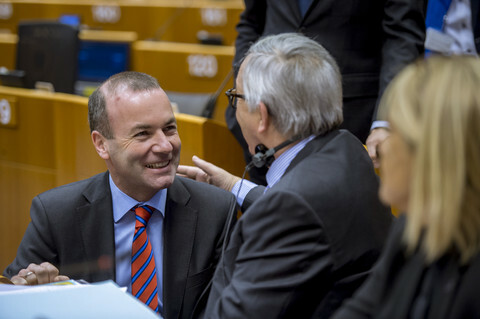 He added that what European integration has achieved so far – in social, economic and cultural terms – "cannot be destroyed, even by those who ardently desire to". Respected economists such as Lorenzo Bini Smaghi, a former board member of the ECB, and Fabrizio Saccomanni, economy minister until two months ago, have penned a pro-euro appeal along with fellow teaching staff at LUISS, a private university in Rome linked to business association Confindustria. A return to the lira would be a "backward step", they wrote on the Corriere della Sera newspaper on 9 April. "Moving from the euro to the lira would not solve the structural problems that have for years gripped the Italian economy," they added, citing excessive red tape, low productivity, an inefficient justice system and other shortcomings. Emma Bonino, also a former EU commissioner and foreign minister like Frattini, says the pro-Europe camp should be bolder in countering eurosceptics by espousing all-out federalism as "the only serious way forward" for Europe. Mario Giordano, a journalist who has joined the anti-euro camp, retorts that europhiles are unable to go beyond scaremongering on the consequences of a eurozone exit, harping on about the EU's past glories, and offering "vague promises" of future happiness that cannot offset present misery. "Either there are arguments in defence of the single currency and of Brussels' policies, or people will demand to take another path. The only one that guarantees survival," Giordano wrote in a 15 April editorial on Libero, a pro-Berlusconi right-wing tabloid. European elections in Italy are to be a three-way race between the parties of a young Prime Minister, a populist comedian, and a scandal-prone septuagenarian. Italian Prime Minister Matteo Renzi has selected five women to front the campaign of his Democratic Party for May's European Parliament elections. 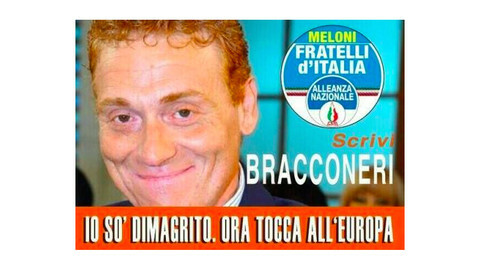 Dodgy graphics, bad pictures, crass wordplay: Italians are no strangers to trashy election material. It is no different for the EU elections. Counting the M5S, Forza Italia, the Northern League and Brothers of Italy, about half of voters are expected to support eurosceptic parties.